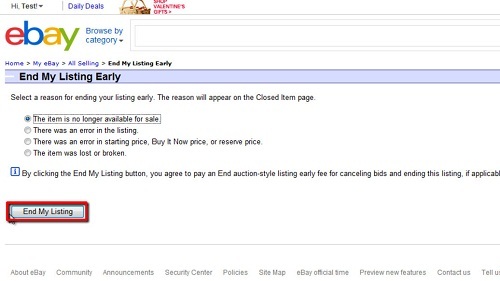 In this tutorial you are going to learn how to cancel ebay sale as seller which will be useful if you have decided not to part with the item after all. 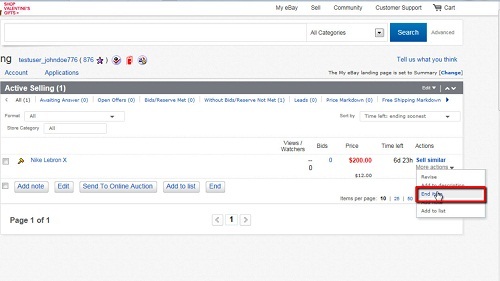 Navigate to eBay and make sure that you are logged into your account. 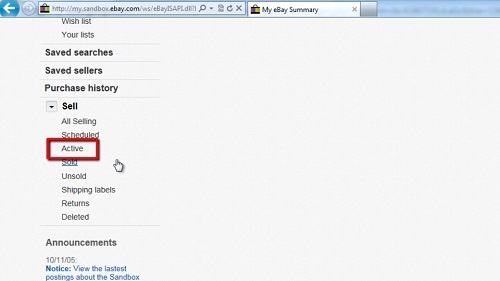 In the menu bar at the top right of the page click on the “My eBay” button. Scroll down the page and look to the bar on the left hand side for the “Sell” heading and click the “Active” option below this. On the right a list of all the items you are selling will appear, locate the item that you want to cancel and on the right look for the “More actions” link and click the drop down arrow to the right of it. In the menu that appears click the “End item” option. A list of options for ending the listing will appear, select the one that most closely fits for you and click the “End my listing” button. A new page will load informing you that you have successfully ended the listing and that is how to cancel ebay sale as seller.